In this day and age, we all carry our fair share of gadgets wherever we go – and one important aspect of this would be to ensure that our gadgets remain fully charged so that we will not be caught unawares when the situation arises and we need to make that all important phone call or send an email. 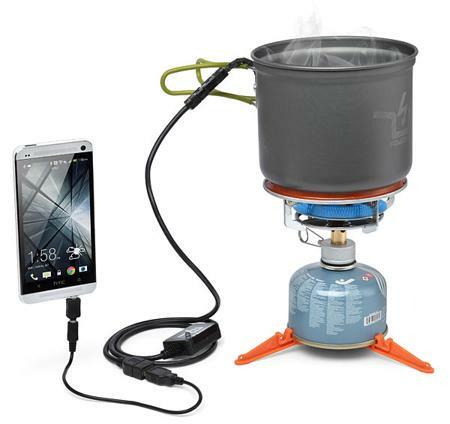 With the $149.99 PowerPot Thermoelectric Generator, it is one device that will be able to take heat and turn it into power, which would then be able to juice up any USB device using a heat source. The PowerPot Thermoelectric Generator has a 5W output, and is the perfect companion for backpackers, hunters, and basically those who do not mind roughing it out in the wild for a few days on end without a single power outlet in sight. Definitely the perfect addition to any emergency kit, and just in case you are worried that your plugged in device might actually burst into flames, fret not, as the cord is flame-resistant by itself, and is said to be able to chrage just as fast as it does from a standard outlet. Hi Edwin, this PowerPot generator is such a new breakthrough in technology, what a wonderful idea combining adventure and technology. Starting collecting money from this day on to get this cool stuff with me!